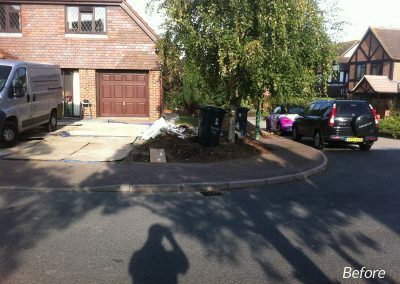 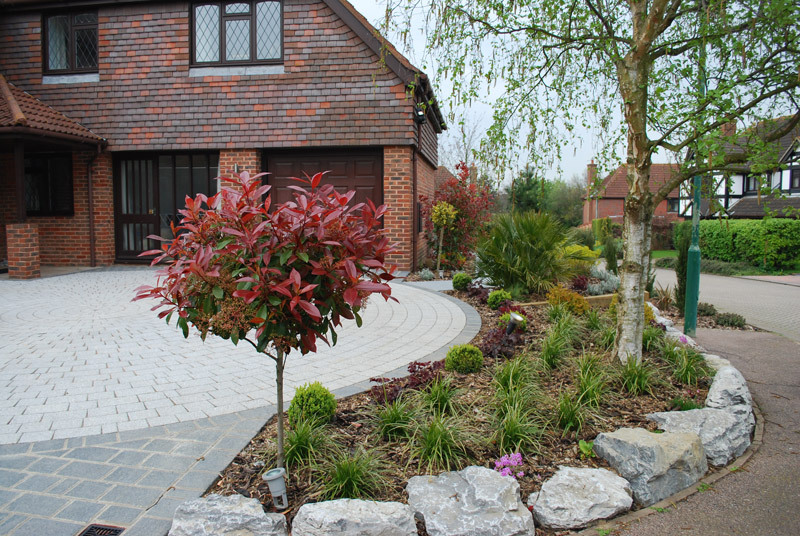 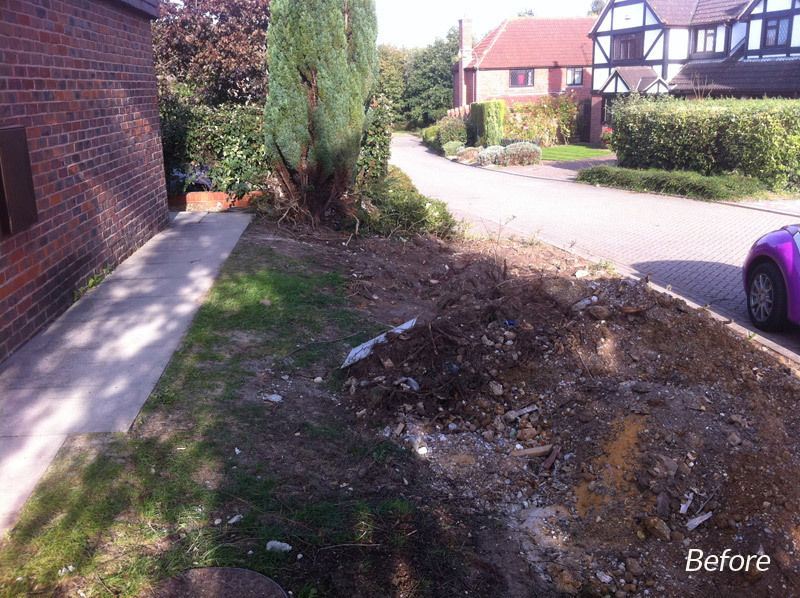 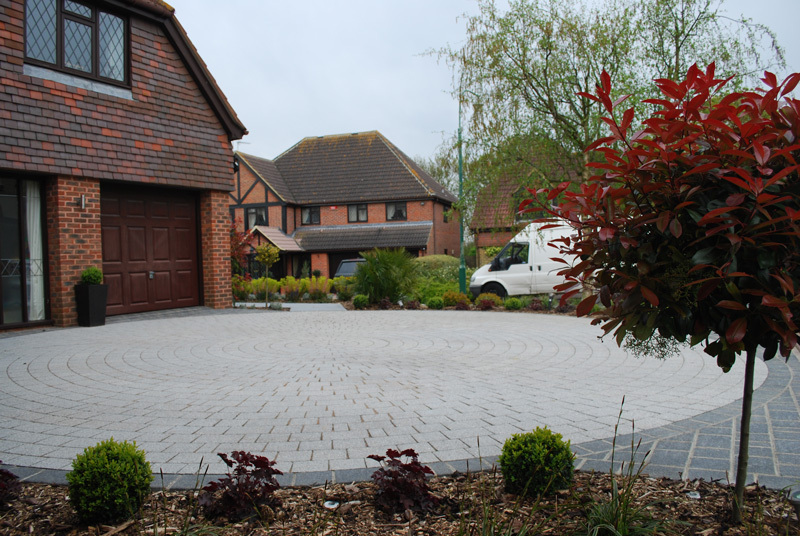 The objective for this driveway was to create more of a modern entrance to the house. 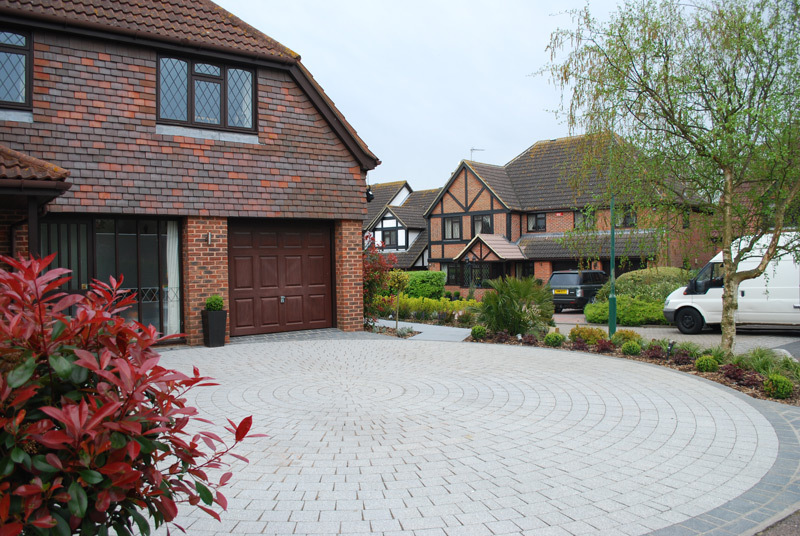 I opted to design this scheme with a bold circular theme as this created a nice contrast to the right angled shape of the house. 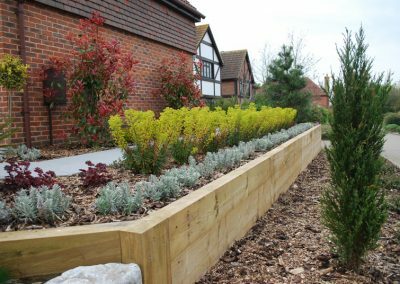 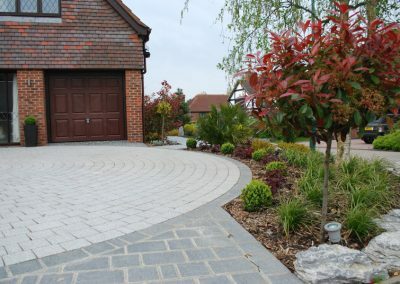 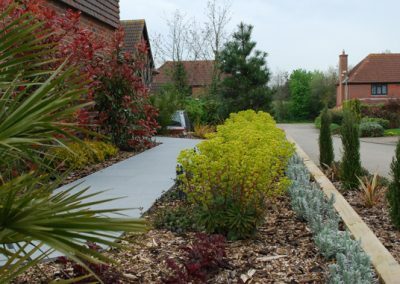 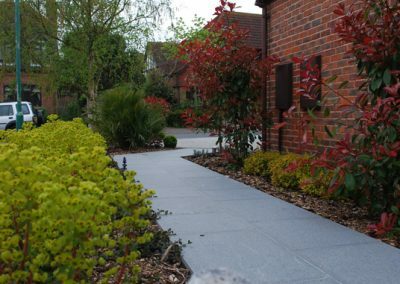 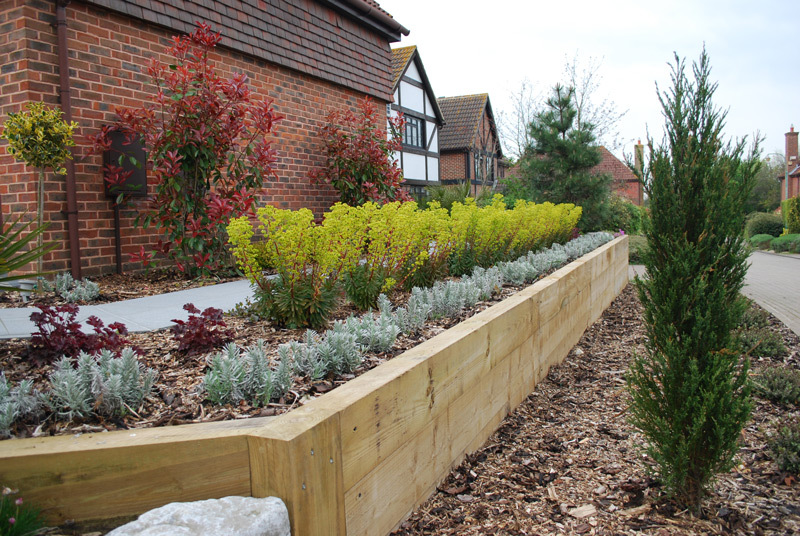 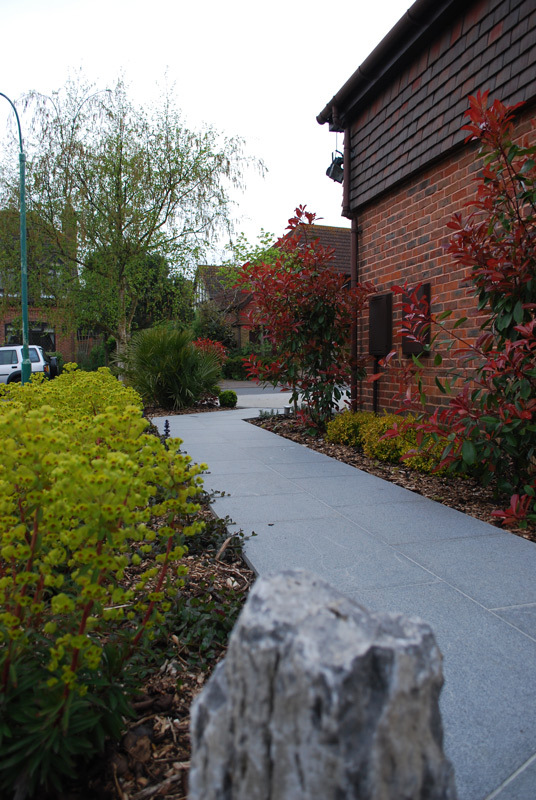 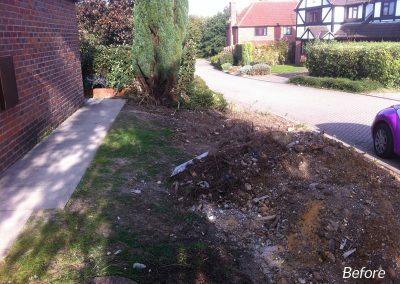 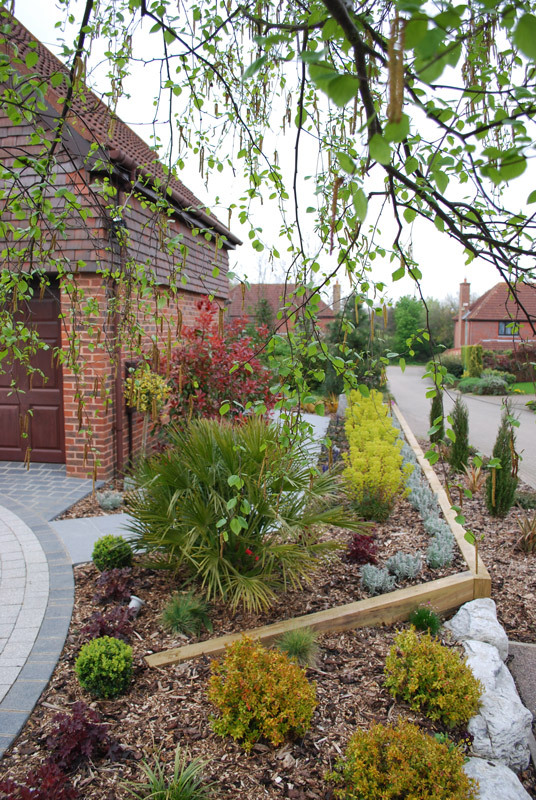 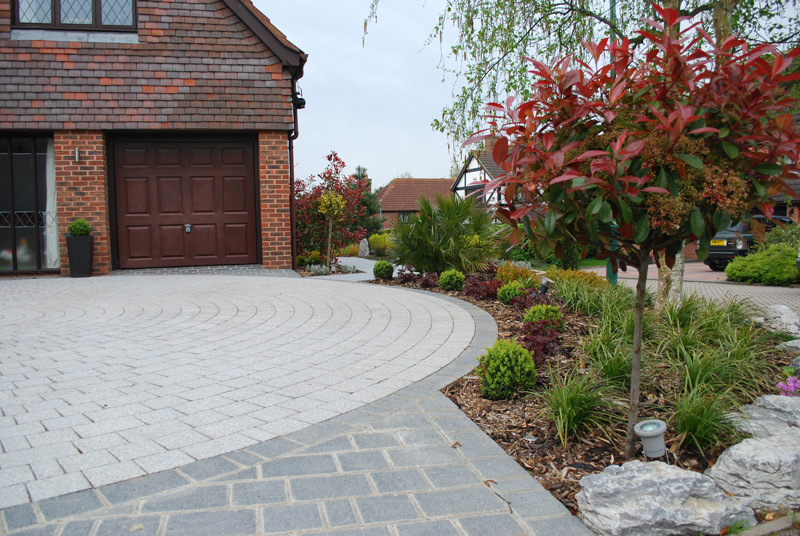 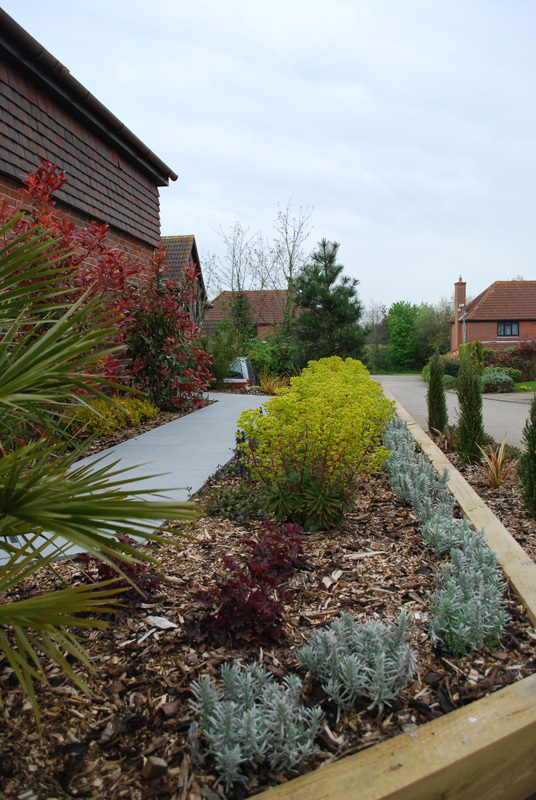 A bright fresh mono tone look was chosen for the driveway and path materials with sleepers being used to retain the change of level down to the adjacent road. 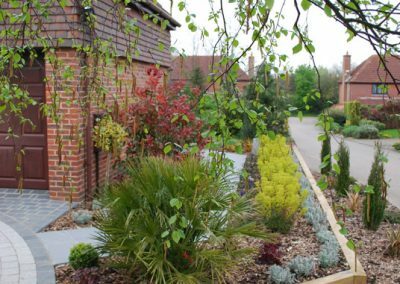 Rockery stones were used to retain the flower bed to the right of main entrance and a full planting/lighting scheme was designed and implemented to finish the front garden areas off nicely.